Snow! It’s the stuff winter wonderlands are made of. Better yet, Gatlinburg is a good place to see the white stuff during the winter months! However, visitors should know that Gatlinburg isn't snowy year round. If you want to see beautiful snowy landscapes in the Great Smoky Mountains, you'll want to schedule your trip for the best time to experience some winter weather. Luckily, Cabins USA Gatlinburg is here to help. Check out our guide with when, where, and how to see beautiful snow in Gatlinburg and the Smoky Mountains! First things first, Gatlinburg has all the necessary ingredients for snow. After all, all you need for a fun day in the snow are temperatures below 32°F and precipitation. As a result, its possible that Gatlinburg could see snow as soon as the thermometer consistently drops below freezing. For this reason, Gatlinburg has seen snow as early as October and as late as April. Though Gatlinburg may sometimes see snowfall before Thanksgiving and Christmas, these weather events are quite rare. Though you can't rule out the chance for snowy weather from October to April, there are times when you have a better chance of enjoying a snowy day in the Smokies. So what months does it snow in Gatlinburg? When Is It Most Likely To Snow? According to the national park service, snow storms in the Tennessee Smoky Mountains mostly occur in February and January. How much snow does it snow in Gatlinburg? Annually, this charming mountain town receives around 9 inches of snowfall. Though some months have a higher average snow total than others, no one can rule out a chance of snow during the winter. Where Can You See Snow in Gatlinburg? Even if you aren't in Gatlinburg for the snowiest times of year, many visitors can still see snow in the mountains! If you want to see snow in Gatlinburg, you'll want to head for the hills. As a rule, high elevation spots receive more snow than lower valleys. Additionally, snow in the mountains sticks around much longer than it might in Gatlinburg. Low Elevation Areas – Places like Gatlinburg, Pigeon Forge, and much of the national park are at comparatively low elevations. These aren't as cold or wet, so they receive less snowfall. High elevation Areas – Compared to the relatively mild valleys, the tall mountains in the Great Smoky Mountains National Park gets much more snow. How much more snow do the mountains get than valleys like Gatlinburg? Here's some facts for a bit of perspective. Gatlinburg, TN sits at an elevation of 1,280 feet and gets around 9 inches of snow annually. For comparison, Newfound Gap in the national park rests at an elevation of 5,049" and receives 69 inches of snow every year. All in all, Newfound Gap is only 16 miles away from Downtown Gatlinburg, but receives several more feet of snow than low elevation areas only a short drive away. Here's a sneak peak of some beautiful winter scenes you might see during a visit to the Great Smoky Mountains National Park in winter. Please Note: that Newfound Gap (and other places in the Great Smoky Mountains National Park) often close during winter weather events. If you're interested in knowing how many inches of snow Gatlinburg got after a recent bout of winter weather, try checking Ober Gatlinburg's slope report. This Ski Resort mostly uses man-made snow for its slopes, but they often record how much natural snow has fallen recently. If you'd like a guaranteed chance to play in the snow, you could also plan a visit to Ober Gatlinburg for skiing, snowboarding, or tubing. Want to see what the Smoky Mountains look like after a winter weather event? Check out High On LeConte, a daily blog that records conditions on the Smoky Mountains' 3rd tallest peak. What Happens When It Snows in Gatlinburg? During a winter weather event, anything is possible. It is often difficult to predict how much snow, ice, or rain may fall during a winter storm. Sometimes, a snow event just turns out to be minor flurries. Just as easily, a Smoky Mountain snow storm can bring as much as half a foot or more of the white stuff. Generally, a snow event in Gatlinburg doesn't last more than a day. Additionally, it is common for snow to melt rather quickly, especially if sunny weather follows the storm. However, if you happen to be in Gatlinburg for a big snow storm, you may want to have some patience. Given the right conditions, roads may become slick and hazardous. Acting with caution and using a vehicle with 4-wheel drive is recommended if dealing with winter weather. Ideally, it is safest to wait out the snow storm and watch for road conditions to improve. Newfound Gap Road – Though this road is maintained by the park service during winter, snow storms often cause this road to close. All the same, this road is plowed, so it is unlikely for Newfound Gap to be closed for a long period of time. The Great Smoky Mountains National Park – The national park closes its entrances during large snow events. Local Attractions – If employees are unable to safely make it to work, local businesses sometimes close during snow storms. Major sights like Ripley's Aquarium and The Gatlinburg Space Needle will sometimes close if conditions are poor enough. However, if you want to go for a snowy hike when the park is closed, you may still be in luck! Typically, the park service closes for vehicle traffic. But, if you can enter a trail near the park entrance, you can enjoy a lovely winter hike. If you can safely reach a park entrance, here are some trails that start within walking distance of the park gates. Of course, hiking isn't all you can do during snowy weather in Gatlinburg. Be sure to check out the Gatlinburg's top 5 wintertime activities! Seeing some snow is one the joys of winter in the Smoky Mountains. 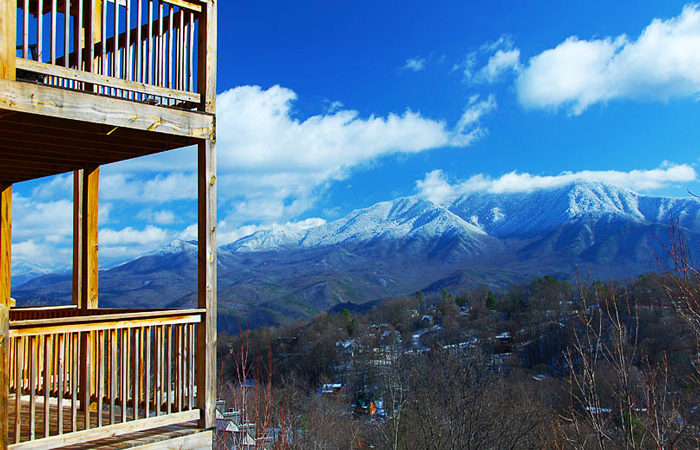 If you'd like to have your own snowy winter adventure in Gatlinburg, why not reserve your own Smoky Mountain cabin? 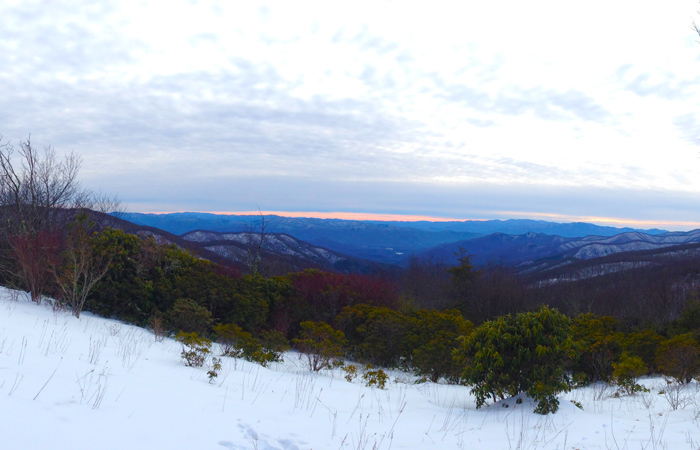 By reserving a longer stay in the Smokies, you'll have even more time to enjoy the mountains in winter. Better yet, you'll increase your chances of seeing some gorgeous winter weather during this wonderful season in the mountains! Find Your Gatlinburg Winter Cabin!